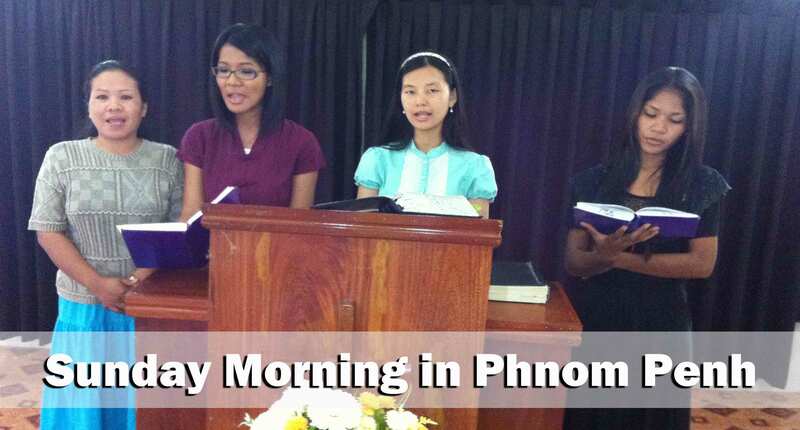 We had several first time visitors in Phnom Penh this morning. There was a family visiting from a “Protestant” church. I think they might have been a bit confused as to why we were not dancing around during the song service. Other than that, I think they listened well. I feel like Vicheth, one of the young adult men in that family, is a good prospect. He claims to be saved and seemed to “click” well with the other single men he met at church. Please pray that our folks will be able to reach Vicheth. Mr. Keova visited the morning service. Though he is in his late 70’s he still rode his bike to church. I understand that he is not yet saved but he told me that he is “interested in hearing what God has to say.” I assured him that we will visit him in his home this week. I plan to see him Tuesday afternoon. 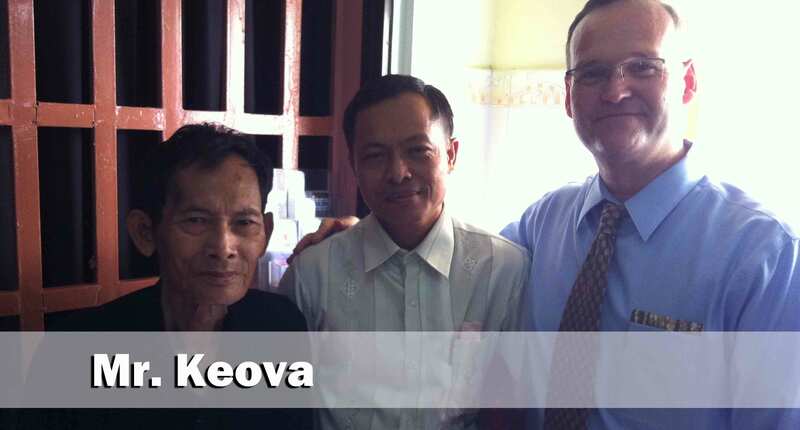 Please pray that God will work in Mr. Keova’s heart and that we will see him saved very soon! This evening we had a special service that was led by some of the teens in our church. We try to have a service like this every 6 weeks or so. These young people are singing the hymn “Blessed Be the Name of the Lord.” It was great to hear them singing praises to the Lord. Jason played the prelude and he did a great job. We will likely begin having him play prelude for the Sunday night service at least every other week. Justin played a special number during the service. His parents had no idea that he was going to play. I think they were pleased with the progress that he is making on the piano. Several of the young people shared testimonies and updates on the various ministries in which they are involved here at the church. 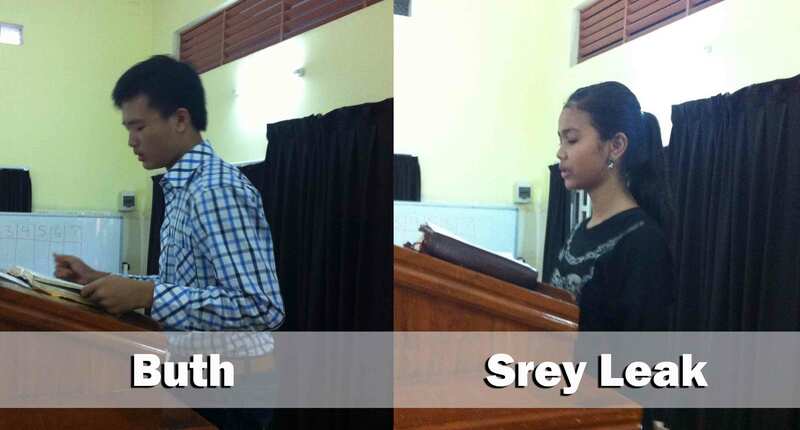 Srey Leak shared a testimony of how she came to know the Lord. She is such a blessing to all of us. She comes from a difficult family situation and humanly speaking could come up with a lot of excuses why she can’t do right and be faithful to the Lord. Yet, she is a young lady who is resolved to be faithful. I recently heard that one of the teachers from her school has seen her example and has actually recommended that other students start attending our church so they can become like Srey Leak. We know that it is not our church that causes the changes. It is the Lord’s working and her willingness to yield her will that has caused her light to shine! Pray for Srey Leak to continue to be a good example. 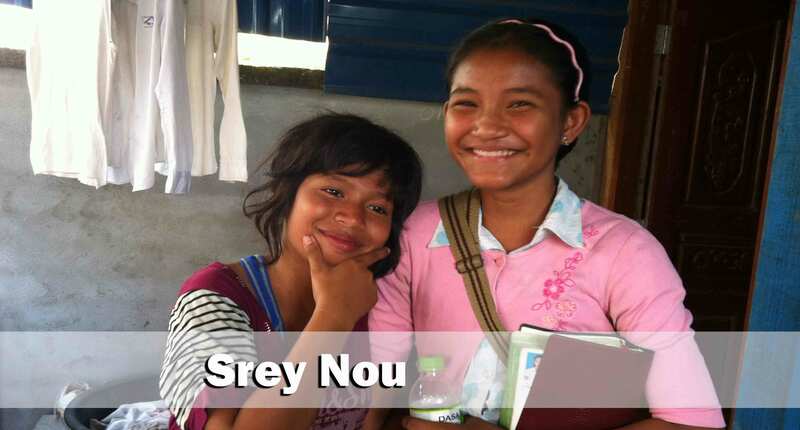 She has invited another teen girl, Srey Souk, to come for Friend Day. 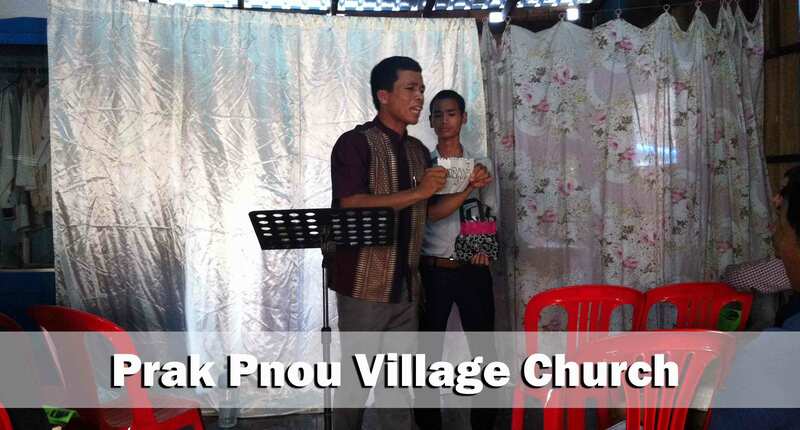 Srey Souk is one of the students that Srey Leak’s teacher recommend begin attending our church. Pray for Srey Souk to come on Friend Day. Buth preached the evening message. He preached from Matthew 13 in regard to how to have a tender heart. He did a good job explaining that God can only work in a heart that is free of “stones” and “thorns.” Buth is the only Christian in his family and is constantly under pressure to compromise. Bro. Has has been discipling him for the past several months and he is always eager to learn more of God’s Word. He is also a part of my Saturday evening Men’s accountability group. This past Saturday he asked advice about how to handle a particular situation that has arisen in his home. He is being pressured to be the best man at the wedding of a family member. He told me that in order to fulfill that role he would be required to drink alcohol and offer incense to idols. He knows that he can not fulfill the expectations that his family has for him and, at the same time, honor the Lord and protect his testimony. I expect that he will make the right choice. Please pray that Buth will experience God’s grace as he stands for what he knows is right. Bro. Vannak taught a great lesson on the benefits of salvation at the Prak Pnou Church this afternoon. The neighbors, who happen to be the brother of one of our members in Prak Pnou, hate our church and hate the Gospel. 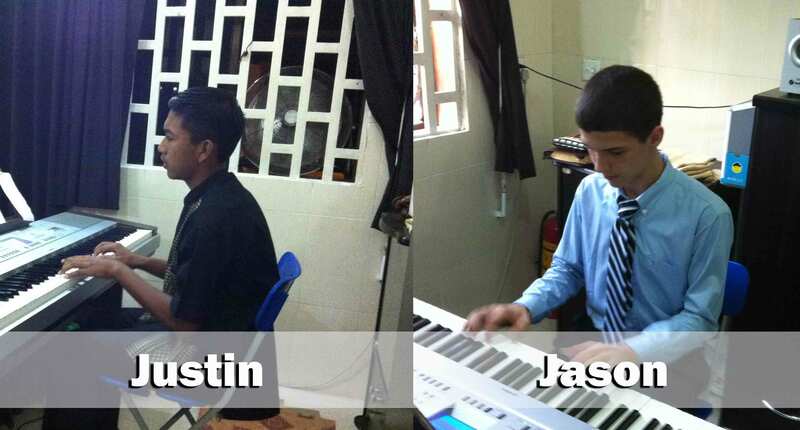 They are professional musicians, and Vuthy, their brother, used to be part of their band until he got saved. Once he was saved he no longer desired to be a part of their drunken parties and sensual concerts and he separated himself from the group. They have hated him since then. Being professional musicians they have good quality sound equipment. They chose today as the day to test out just how loud the speakers could blast their music! Trust me, the speakers got pretty loud… They played their music for the duration of Vannak’s message. I think that Vannak was supernaturally enabled to drown out the noise and concentrate on the message. Even with all the distraction there was still an adult lady, Sina, who raised her hand indicating that she wants to be saved. Please pray that Sina will clearly understand the Gospel message and be saved soon. 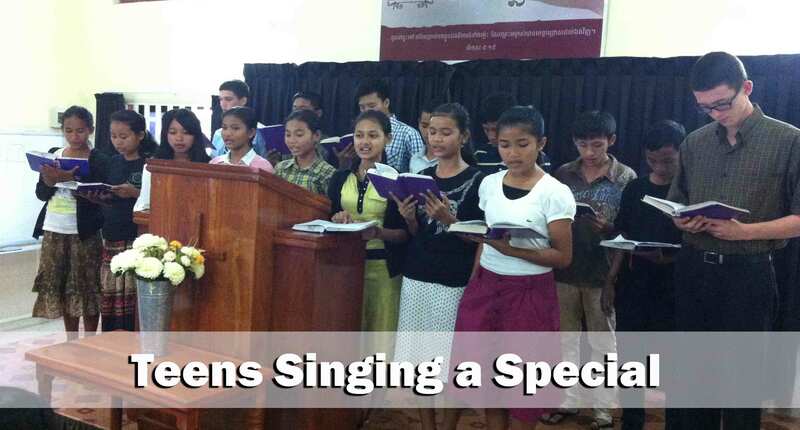 Srey Nou is 14 years old and has been attending the Prak Pnou church for the past several weeks. She lives pretty far away but loves coming to church so much that she walks there. We always drop her off back at her house after the service is over. I can’t even begin to describe to you the poverty in which she and her siblings live. Picture the filthiest pig pen or chicken coop that you have ever seen on a farm in the United States and you might be getting close. She gave a testimony during the service about how much she loves the Lord and loves coming to church because she know that people love her and care about her. She is illiterate and, humanly speaking, will never amount to much in the eyes of the world. Yet, she is someone for whom Jesus died, and she is someone who is being reached because of people like you who pray and support the ministries here in Cambodia. Praise the Lord that we are all equal at the foot of the cross!